Methow Valley Herbs: Volume Four of Plant Healer Magazine is OUT! Volume Four of Plant Healer Magazine is OUT! The revolutionary duo has done it again. Co-editors, Kiva and Jesse Wolf Hardin have just released the fourth volume of Plant Healer Magazine. Once again they've surpassed their own high-bar of excellence to produce another stunning issue. This issue is filled with 213 pages of information packed articles and gorgeous herbal artwork. The diverse background of herbalists that contribute to this magazine are encouraged to push their offerings to the limit to bring us insight into today's herbal world - and it shows! Articles in this magazine are experienced based and go beyond the mundane to broaden herbal horizons. I've cherished every issue and have been honored to see my own work amongst the pages. If you are not a subscriber I highly encourage you to partake in this herbal history in the making. Now is an especially great time to become a subscriber. Later this month this electronic magazine will be offered in a beautiful hardback form, but only to subscribers. 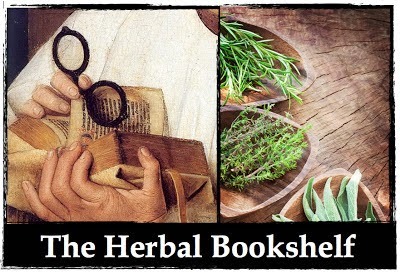 The Plant Healer book is over 700 pages and will doubtless entertain us herbalists for many years to come. Learn more about Plant Healer Magazine and subscribe by clicking on the banner below.